Fire fighters quashed a blaze at industrial bins close to St Anthony’s Parish Centre in Craigavon last night. The bins were close to an oil tank at the popular centre which is the venue for many community groups and children’s activities. SDLP Craigavon representative Thomas Larkham expressed his deep concern at the fire which he said ‘could have ended in disaster’. 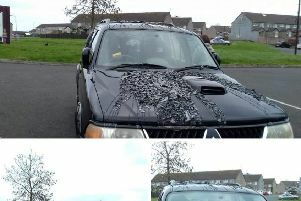 “I am totally outraged that there are people within our society who would carry out such an act of mindless vandalism. This was a very dangerous situation as these bins were burning within inches from the Centre’s oil tank. “The Fire Brigade was alerted by myself and they arrived promptly because had those flames or hot ashes touched the oil tank we could have been dealing with a disaster which could have had catastrophic consequences for the local community. “The intensity of the flames meant that firefighters had to douse the wall which houses the oil tank with water for a period of time. “Thankfully no one was injured in this incident and no major damage was caused however the Parish will be inconvenienced with having to bear the cost or replacing these bins which could run into several hundred pounds”. 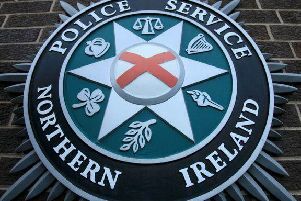 “I would appeal to anyone with information relating to this incident to contact the PSNI on 101 or inform St Anthony’s Centre directly”.